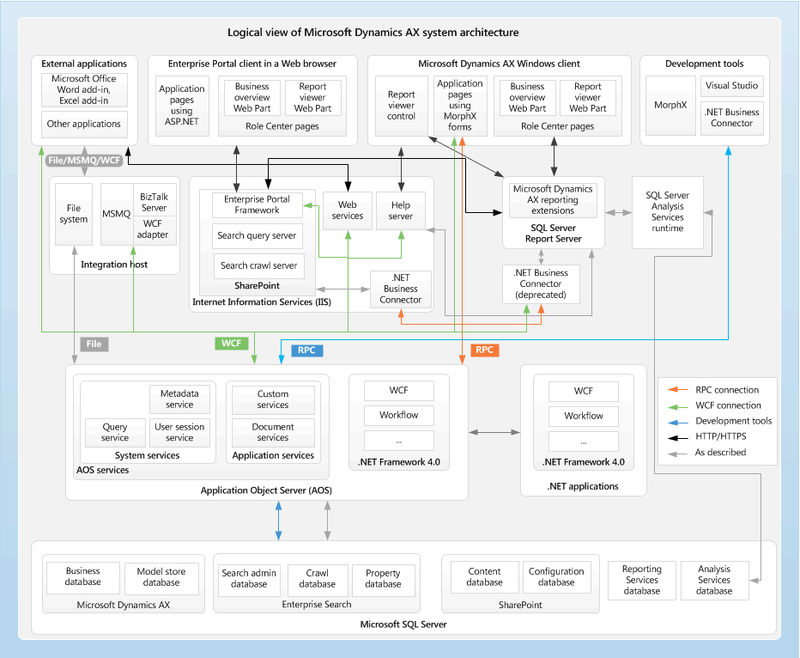 The following diagram provides a high level overview of the system architecture of Microsoft Dynamics AX. This diagram does not depict the system topology or physical infrastructure that are required for the deployment. 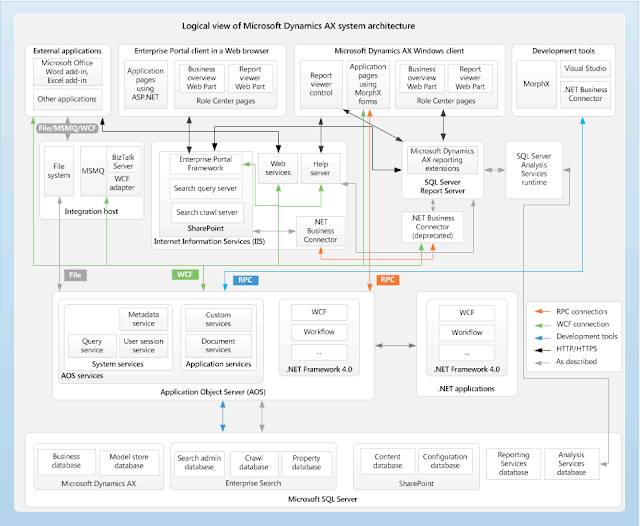 The infrastructure can consist of many Microsoft Dynamics AX components, and these components can be installed on either a single physical server or multiple physical servers.